Erica & Tommy's wedding ceremony in the elegant St. Patrick’s Cathedral in Harrisburg, Pennsylvania was beautiful! Inside, the classic architecture and the intricate design combined to create a stunning setting. We loved watching their elegant first dance at the Hershey Lodge as well as the very well rehearsed dance Erica shared with her father. We'll let their film tell the rest of their story so we hope you enjoy! 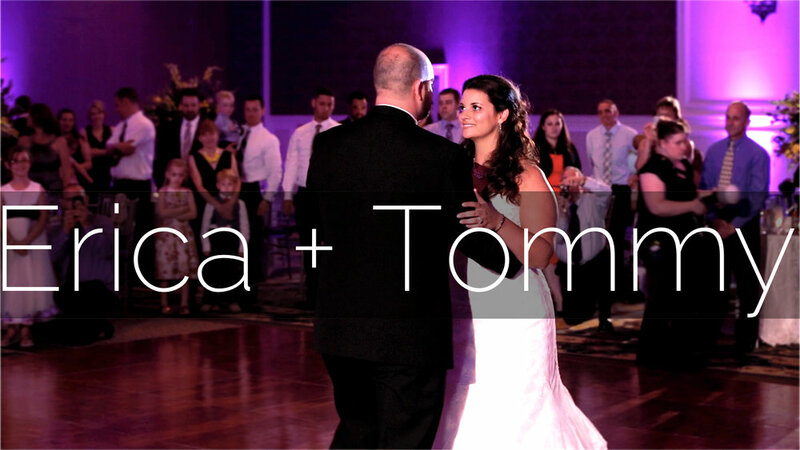 When we met with Erica & Tommy to discuss their wedding film, we knew we liked these two immediately! Their wedding ceremony was held at St. Patrick's Cathedral in Harrisburg and they celebrated their wedding reception with family and friends at the Hershey Lodge. Here's a quick update with their Coming Soon Trailer!